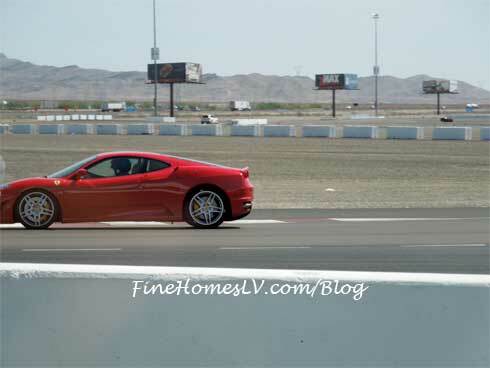 Race a foreign super car around a track in Las Vegas at over 100 mph? Sure sign me up! 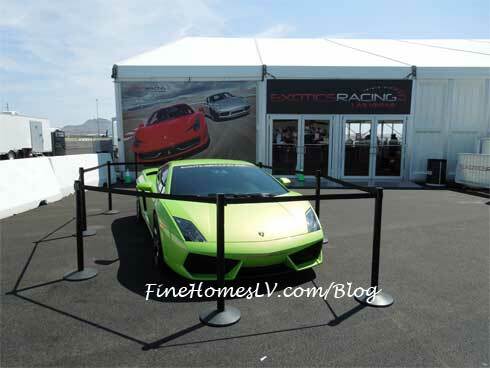 That’s exactly the reaction Exotics Racing with the world’s largest fleet of exotics supercars is hoping for from locals and Las Vegas visitors for an incredible adventure. 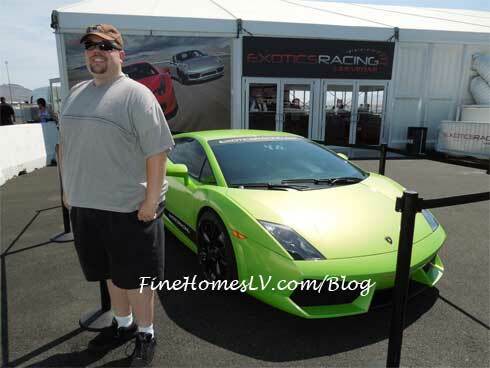 I was lucky enough to be guest of Exotics Racing for the day so I could share my red hot exotic driving experience. If you happen to visit Vegas’ Fashion Show Mall, the Ferrari on display, along with helpful staff and a book full of exotic cars, is located at the end of the fashion runway. Totally fitting. The salesperson at the Exotics Racing area, at the Fashion Show Mall, mentioned they have pickup and delivery from the mall for a nominal extra fee. If someone were to take a cab to and from the Las Vegas Motor Speedway, only 20 minutes away, it could cost up to $120 to $180 round-trip. 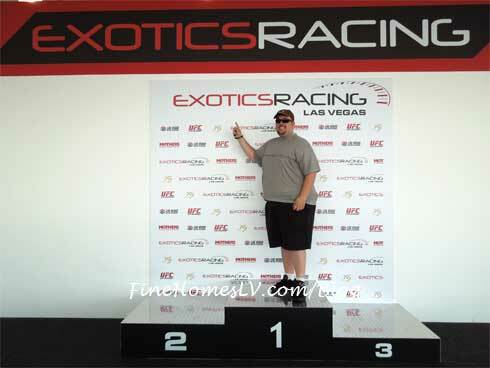 Be sure to order pickup and delivery from Exotics Racing when placing the order for an exotics driving experience. The best part of visiting the mall location is that the person can help you pick out a car to test drive. You can choose from a fleet of Ferrari, Lamborghini, Aston Martin, Porsche, McLaren, Audi, Mercedes and Nissan. They know the pros and cons of each car, so picking a vehicle that fits your desired experience is easier to choose. 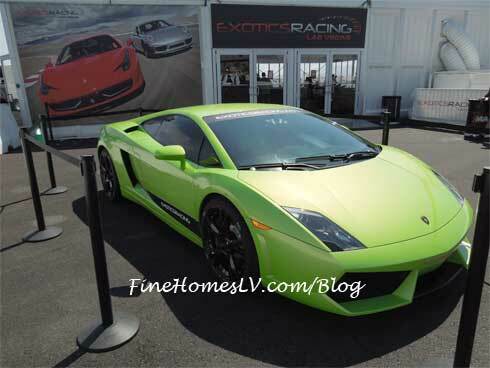 Arriving at Exotics Racing at the Las Vegas Motor Speedway is another experience. I was greeted at the front with one of their supercars on display. This is a good spot to take a few pictures to compare with after you finish racing. There’s so much excitement going on inside the structure. The interior is divided into a few distinctive areas. First, check in where they immediately smile to welcome you and ask for your name. That only took a minute. I was offered a chance to look around the operation, take photos or video of the racing cars on the track before the instructor class tutorial. After taking photos of the incredible exotic vehicles, I came back inside and grabbed a seat inside of the classroom area. 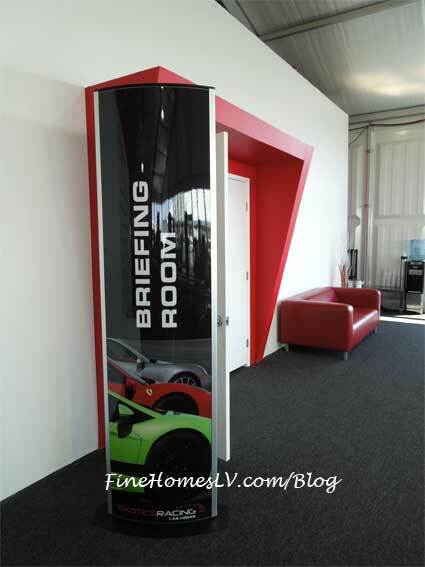 The classroom has doors to help keep distractions down to a minimum in order to learn about the cars, track and how they expect you to drive. I liked the class because it orientated me with their style of required driving, what to expect from the cars and curves of the track. 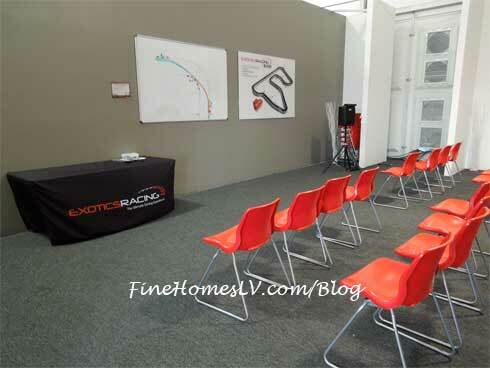 After leaving the classroom, your name is called to take a discovery lap around the track in a Porsche Cayenne with an instructor who shows you exactly where to accelerate, brake and turn. After that, I was fitted for a helmet and looked ready to put the pedal to the metal. If you have been to any other driving experience, those parts should be familiar. However, that’s where the familiarity ends. Next up was to drive 100+ mph! The second I stepped outside into the tent area with the cars, my adrenaline started ramping up. A Corvette passed by squealing its tires, while drifting into the first corner. The driver in the car was doing a ride along, priced separately, which is good for first time visitors to the track. I walked up to my Ferrari 430 Scuderia with a little nervousness and a smile. I like how Ferrari’s feel on a track, from my previous experiences, so I was happy to be paired with one at Exotics Racing. My professional racecar driver instructor checked to make sure everything was safe and we were off to the races. The new 1.4 mile race track specially designed for the supercars has various cars racing at any one time, so entering is somewhat precarious. It adds to the excitement as well as the possibility to pass people. As you can see in my video, I catch several racers and pass them! Having the ability to pass is exciting because there are some racing experiences that do not allow drivers to pass. Normally, visitors get five laps around the track. However, since I am a Las Vegas local, I scored an extra lap. That extra lap was possibly my fastest of the day. Going fast is what Exotics Racing is all about. They want everyone to go so fast, while staying safe, that a big ear to ear smile is the result. To document the ever growing smile, some people order the race video, which is done when booking the experience. Check out their website www.exoticsracing.com or call 702-405-7223 for a large selection of exotics supercars to race, somewhat a “candy store” for the thrill seeker. Your options are many and selecting more than one supercar is possible, too.